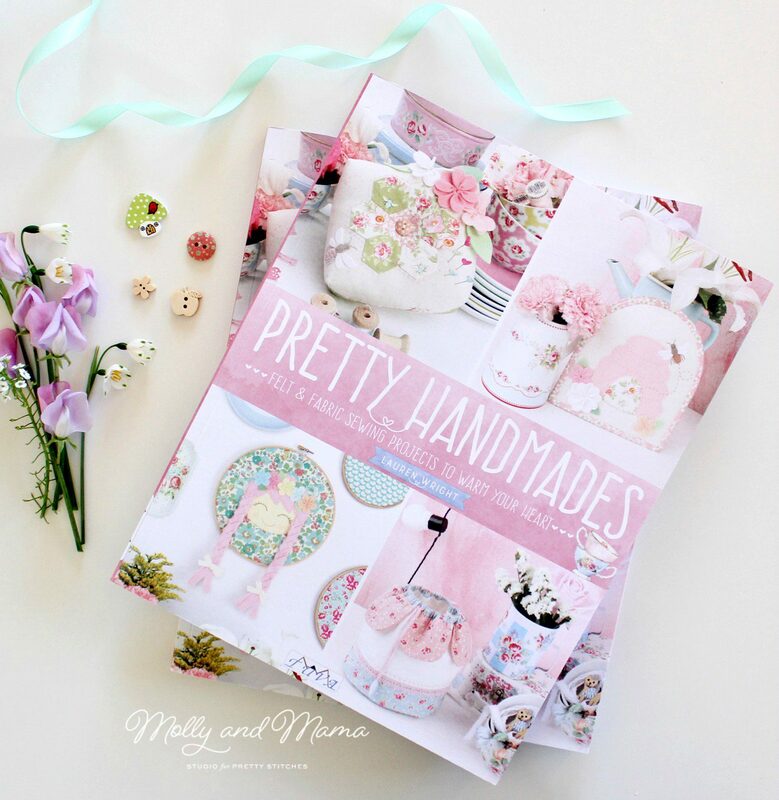 Can you believe that the first week of the Pretty Handmades* Book Showcase is already over? In case you have no idea what I am talking about, please head over to this blog post to read more about the release of my first book with Tuva Publishing. 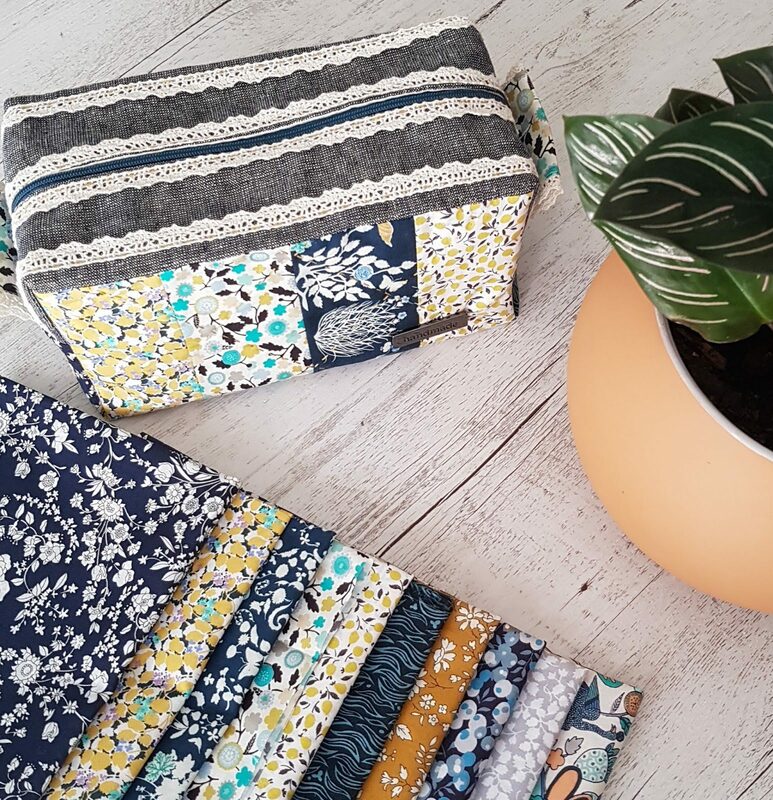 There are 28 bloggers who have very kindly offered to sew projects from Pretty Handmades* and share them on their own blogs and social media throughout the month of September (please see the schedule at the end of the post). I am just so grateful to have their expertise, support and encouragement. Although our online world is global, it really feels like such a supportive and caring community. You have all shared in my excitement and joy as the release of the book has drawn closer and closer. I’m so grateful for that! And now it’s so wonderful to showcase the work of others too. It’s really important to me that you can see my designs made up in different ways, with different fabrics and individual tweaks and changes. I love seeing how someone makes one of my designs their own! For that reason alone, I am so excited to show you what others have been making! But wait until you see how beautiful everything is! Please visit the links below to see more photos from each blogger and to leave them an encouraging word. First up on the tour was Jemima from Tied with a Ribbon. 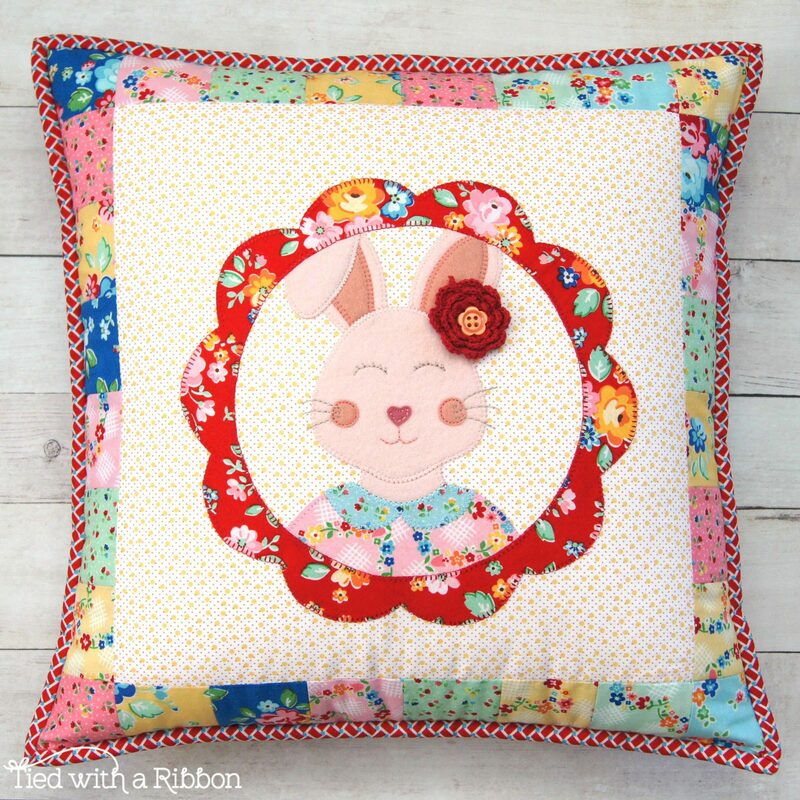 She made the Hoppy Squares Table Tidy into a pillow and it looks so vibrant and fun! Sharon from Lilabelle Lane is my sweet friend and book buddy (we both released our books with Tuva Publishing at similar times!). 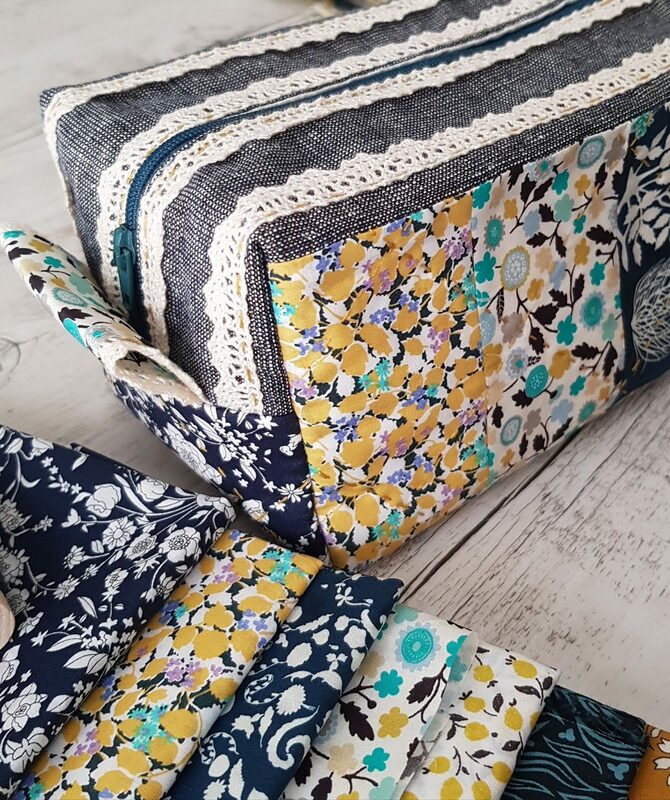 She created the Posie Patchwork Pouch from beautifully dark and moody Liberty prints from Ava & Neve. Sweet Lauren from Transient Art made TWO book projects! Both are cherry, warm and oh-so inviting! 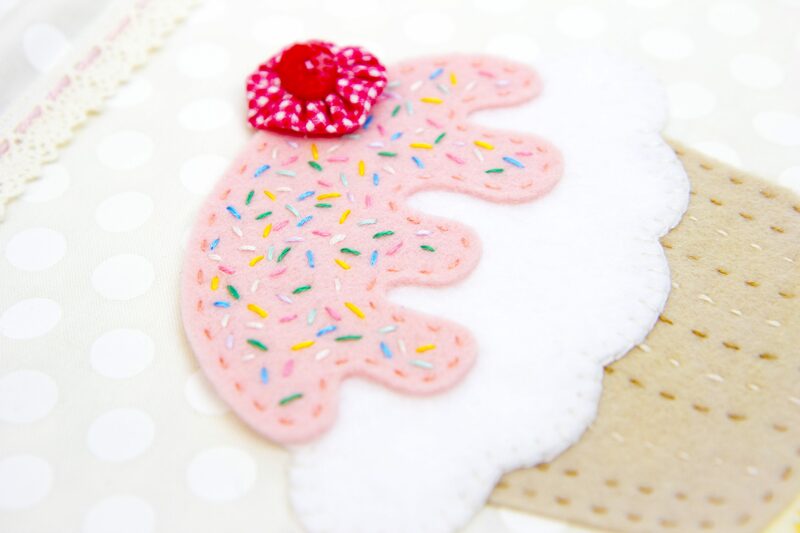 The first is the Sweet Treat Wall Banner. How delicious! Then came the Ribbons and Bows Travel Clutch which was designed for hair accessories but could also be used for a jewellery wrap. Look at the lazy daisy embroidery detail! 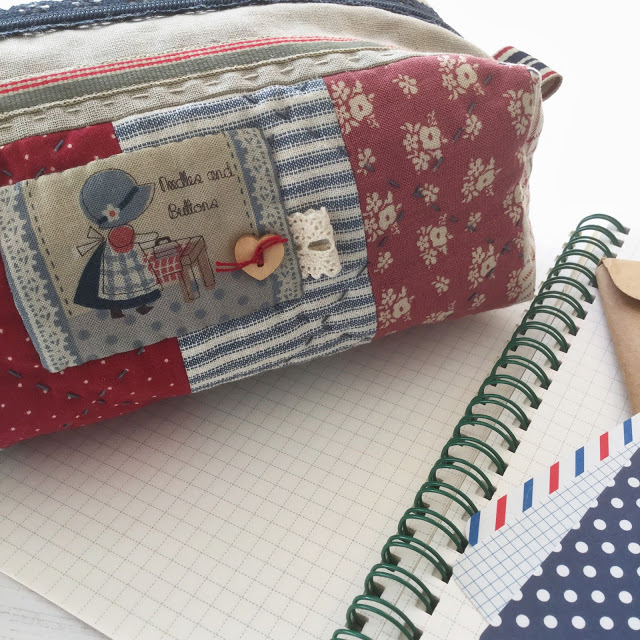 Sarah from A Little Happy Place also made the Posie Patchwork Pouch. She even listed fabric bundles in her store that were inspired by her fabric selection. 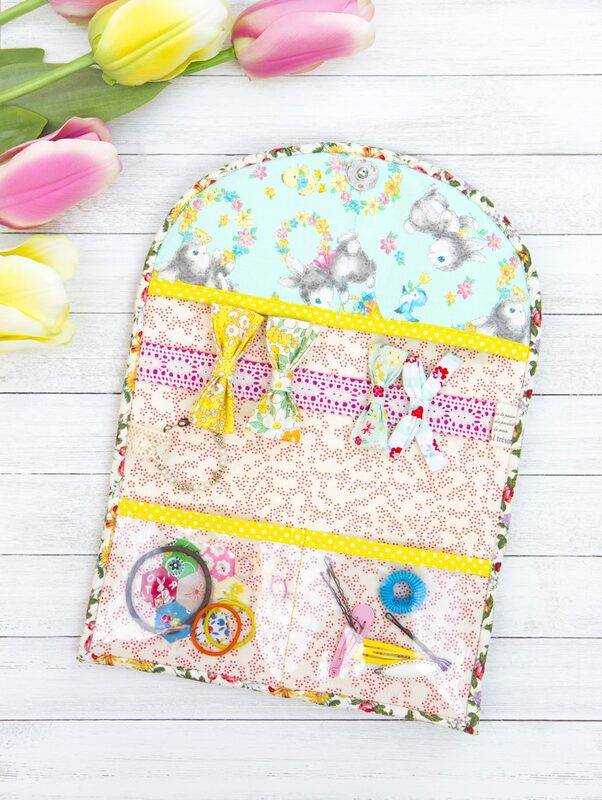 Based in the UK, Sarah has copies of my book ‘Pretty Handmades’ as well as fabric and more in her store Pretty Fabrics and Trims. Ange from A Little Patchwork also created two darling book projects. 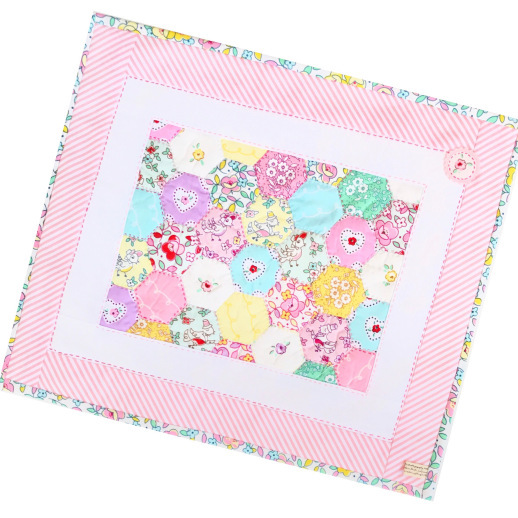 The Garden Patch Mini Quilt looks exactly that. 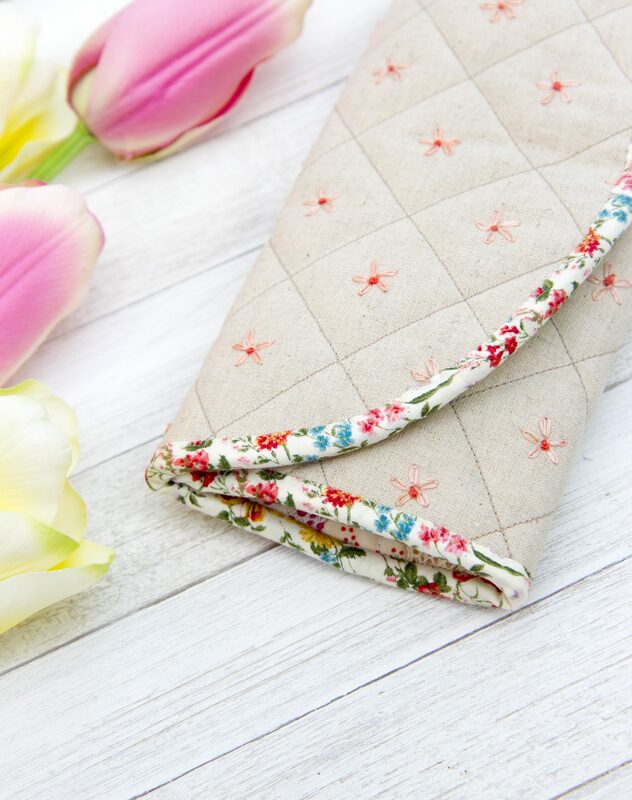 Especially with the pretty floral ‘little dolly’ fabric from Elea Lutz for Penny Rose Fabrics. 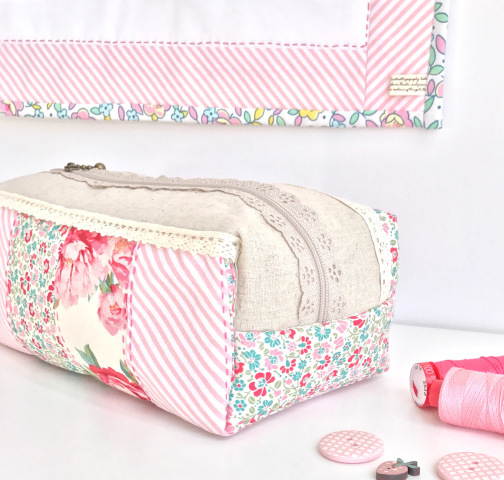 Next Ange shared yet another version of the Posie Patchwork Pouch (it’s been popular this week). But this one was made with some of the prints of the soon to be released Tilda Cottage fabric range! Sweet and delicate. 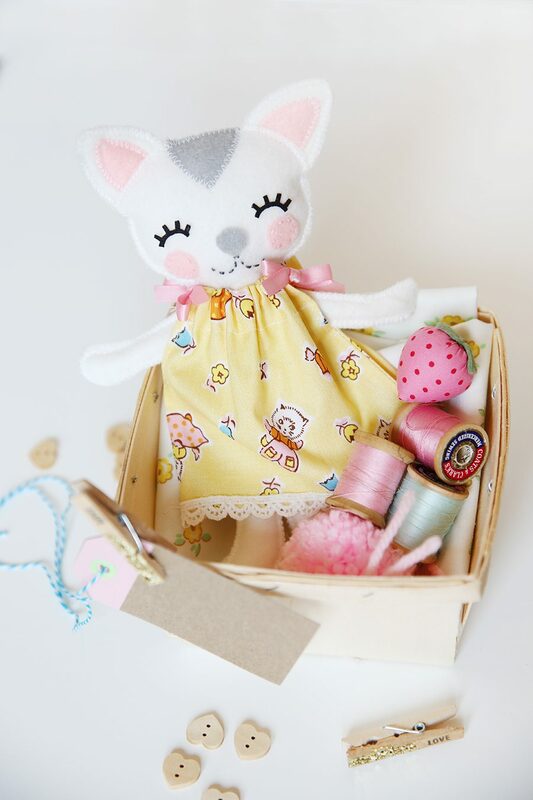 Elea Lutz rounds up our projects for this week with an adorable version of the Lullaby Kitty Felt Doll. She even used her own ‘falsies‘ to add the eye detail to Miss Kitty. Cute, huh? That rounds off the makes from this week on the Book Showcase Tour. Thanks for joining in! Stay tuned next week because I’ll be announcing a fun giveaway and sharing more beautiful makes! I have a book ordered on Amazon, I am looking forward to delivering it to me. It looks beautiful! Your projects look absolutely lovely! Thank you Gail. I appreciate that!